During any search or training, foot health and comfort are a priority in all climates and difficult terrain above the timberline, where there is significant stress on the feet. Experience maximum protection in sub-zero weather, on all terrains including extreme summit conditions where foot protection is critical. 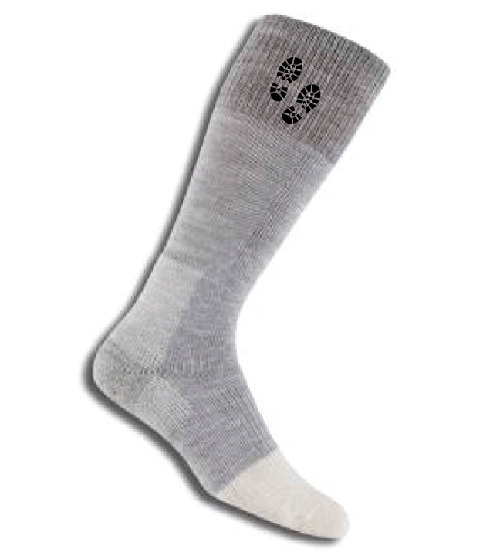 Graphic embroidered on each sock. Constructed with THOR•LON® blended with thermal fibers for extra insulation, superior softness, resilience, durability and moisture-wicking for drier, warmer, better feeling feet. Unique padding specifically designed for mountaineering, clinically shown to reduce blisters, pain, pressures and moisture for maximum protection.